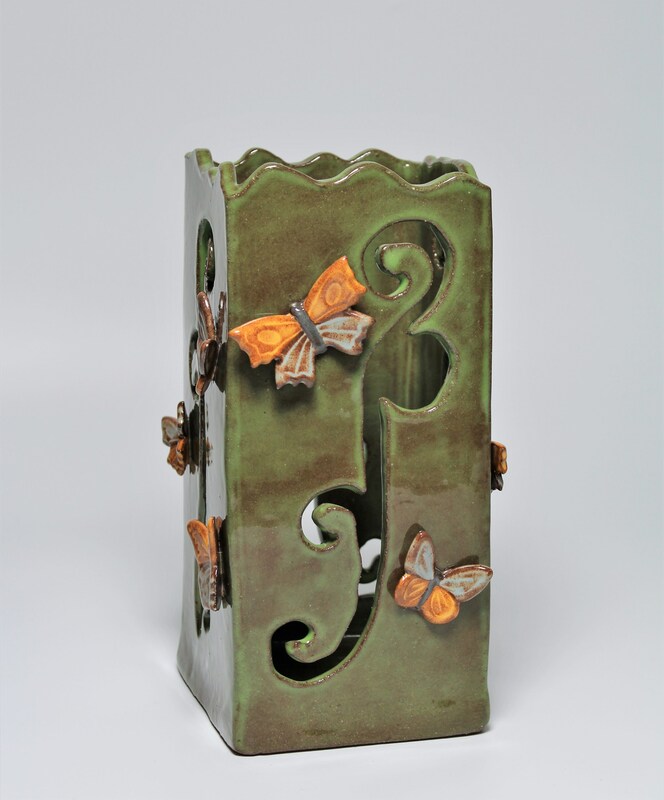 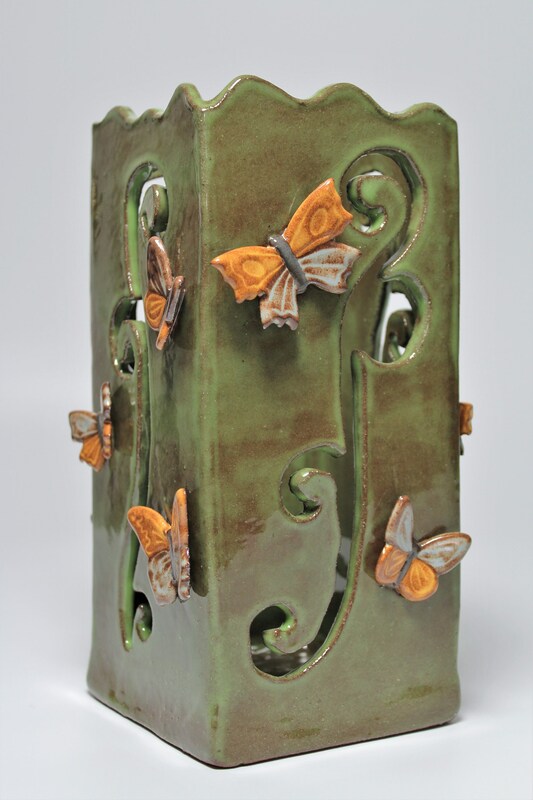 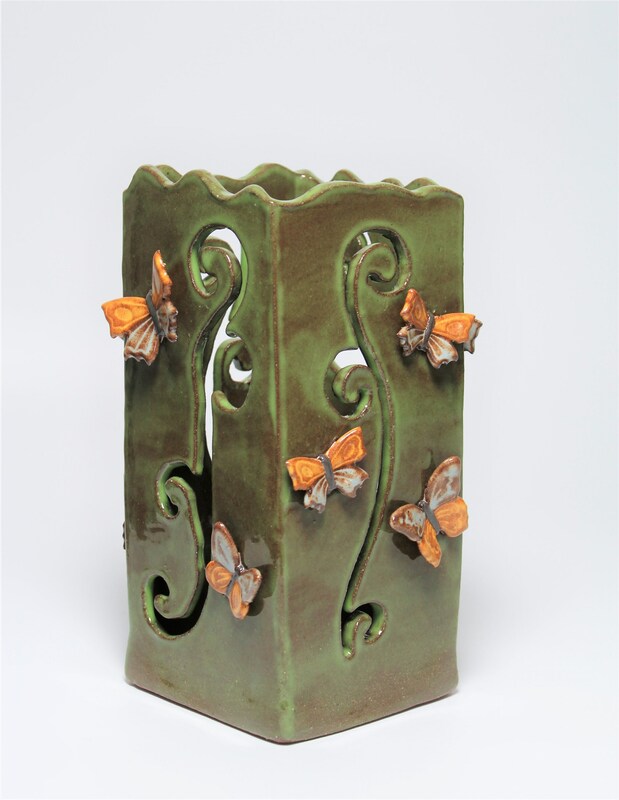 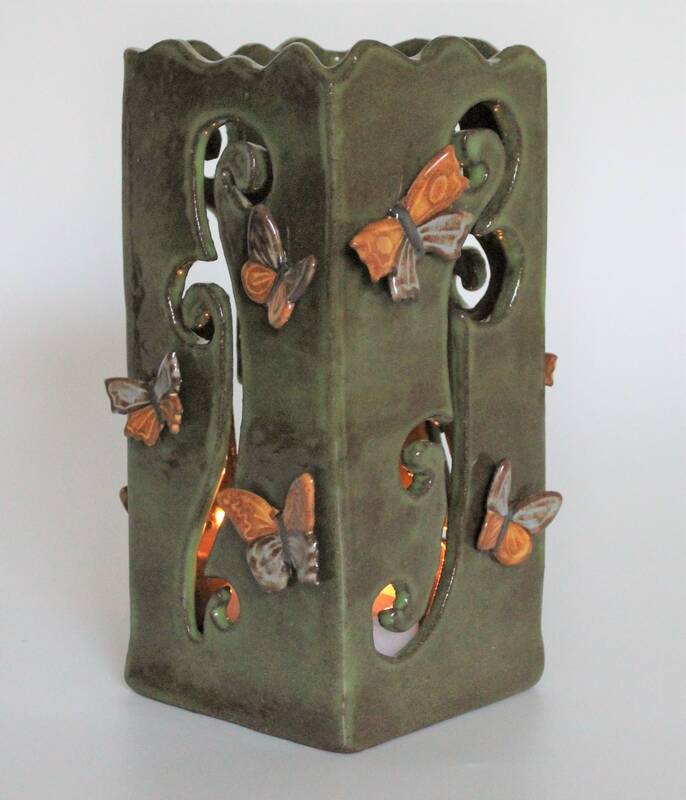 My handcrafted BUTTERFLY LUMINARY is a perfect accent for your patio table. 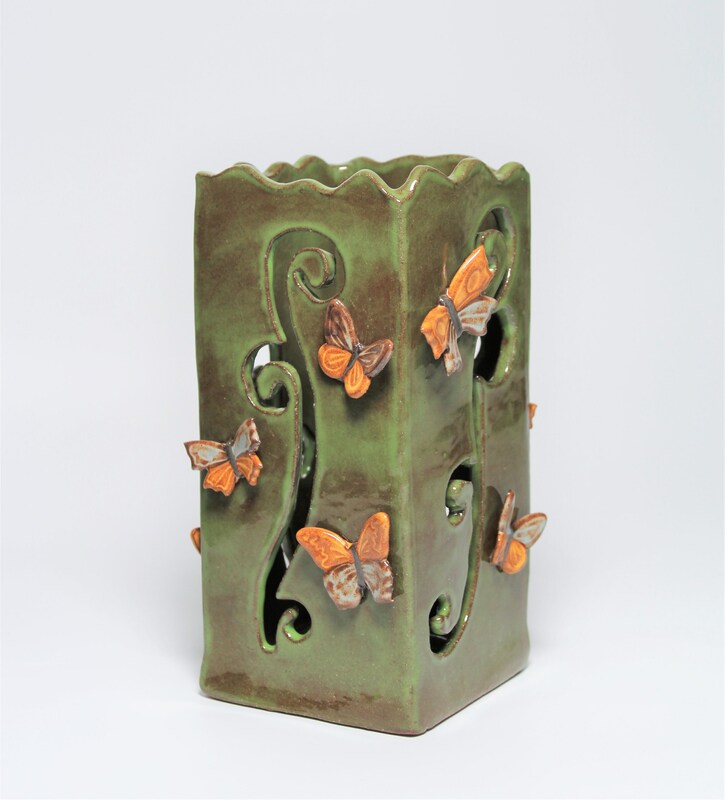 Created from stoneware clay, it is as durable as it is attractive. 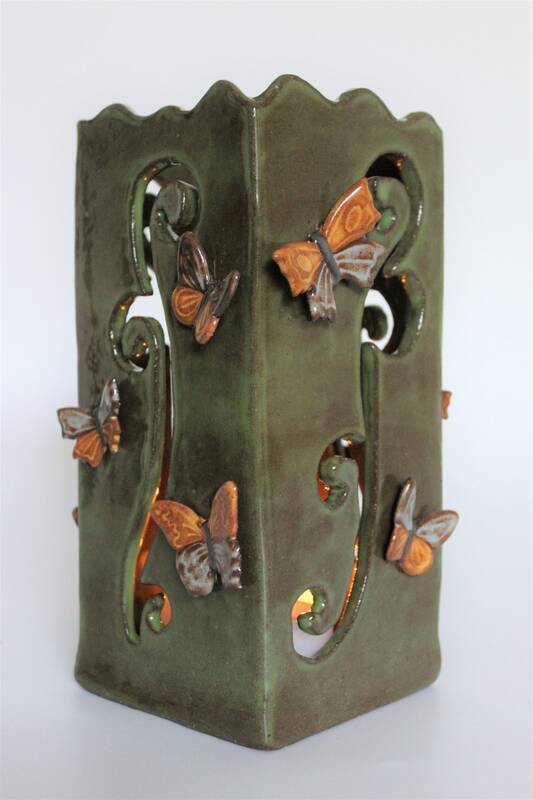 This lantern was hand carved, and the scroll patterns reflect against the wall as the candle inside dances in the breeze. 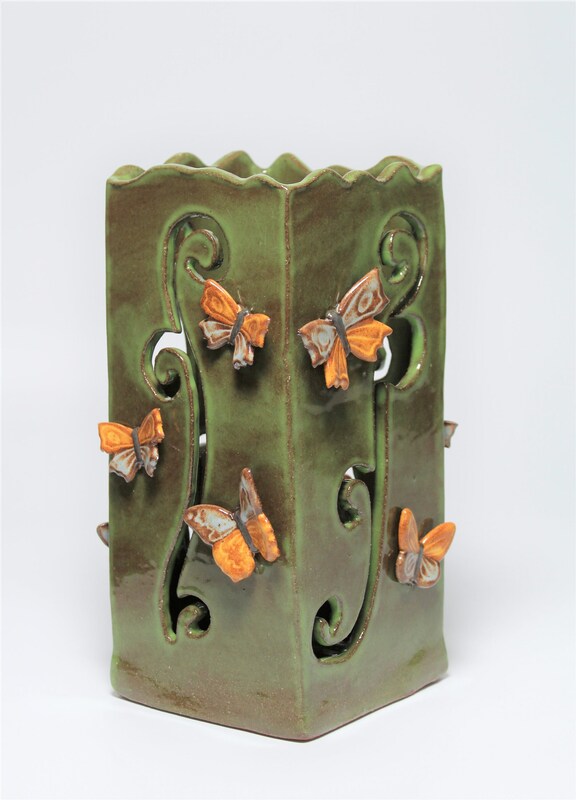 Measuring 4" x 4" square, it is just over 9" in height and will accommodate a medium sized candle. 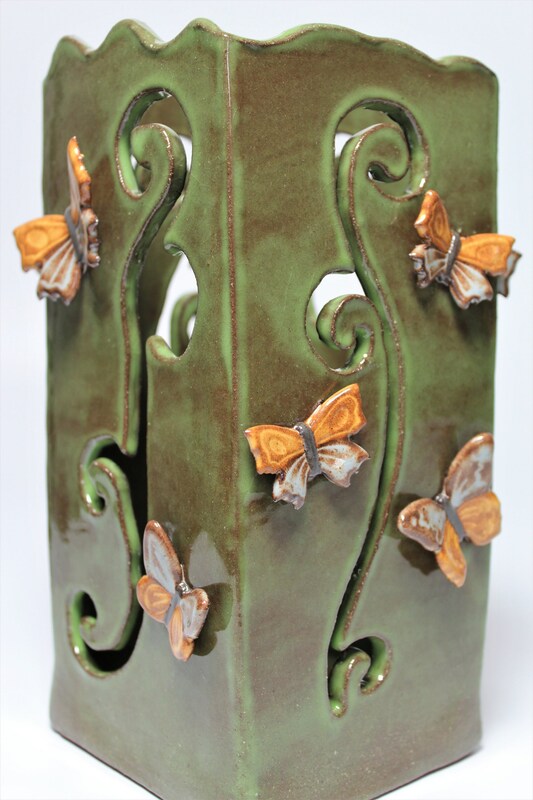 I invite you to follow me on social media so you'll see what's new!